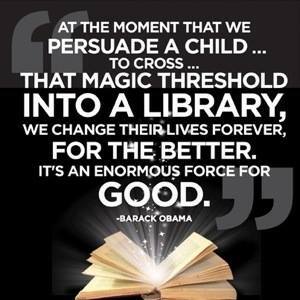 Friends of South Jefferson Public Library is a non-profit organization working together with the Library Staff to strengthen and expand library services by raising funds for facilities & programs, developing community awareness & participation, and organizing volunteer activities. Come dressed as a princess for stories, games and crafts! 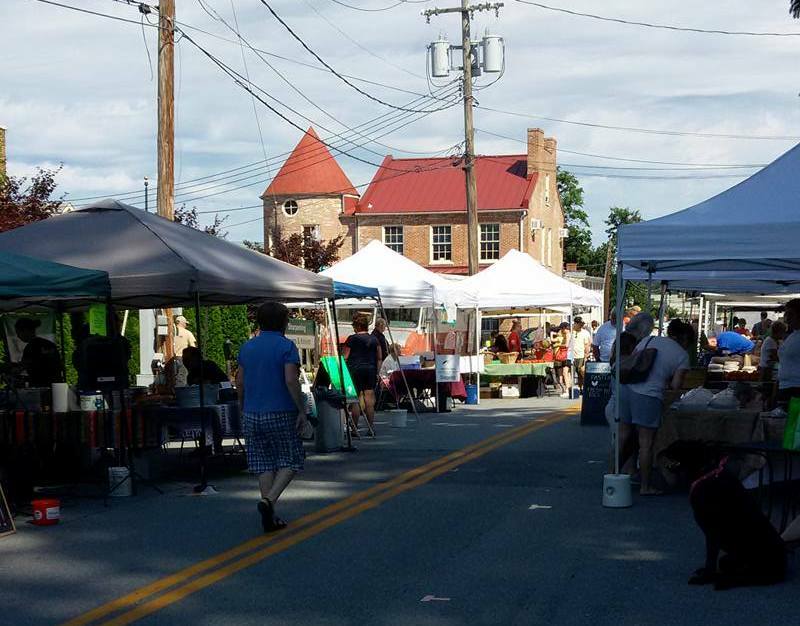 South Jefferson Public Library is located at 49 Church St in Summit Point, WV. Tuesdays at 11:00 am and Wednesdays at 1:00 pm. April 5 & 6 Spring Is Here! April 12 & 13 Library Fun! April 19 & 20 Bugs! The South Jefferson Public Library is pleased to present the art of Claire Mason, beginning Tuesday, March 1, 2016, in the Library Meeting Room. We are excited to welcome Miss Mason as the first of our young library patrons to host her own art show at the library. This exhibit is the 64th in the Art in the Library series hosted by the library to highlight the talents of local artists. An reception will be held on Sunday, March 6th, from 2PM to 4PM in the Library Meeting Room, to enable the public to meet this young artist. Claire Mason is a 14 year old homeschooled student of Charles Town, WV. She has always loved animals and began drawing horses as soon as she could hold a crayon. Claire hasn't had any formal training but has experimented with several different mediums. She finds her true passion shines through the use of graphic arts. She uses the Wacom Cintiq 13hd, Manga Studio 5, and Photoshop CC. Claire has always enjoyed books and taught herself to read when she was four years old. She also has won the attention of local writers as a budding novelist. Claire and her siblings love their local library and she was thrilled when they asked her to participate in their young artist’s presentation. As a teen she now volunteers at the local branch , among her other jobs of pet/baby sitting, dog walking and training her own horses. 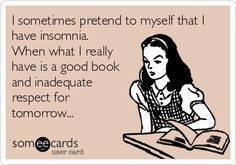 We will be selling raffle tickets for our upcoming book sale and giving away children's books. Stop by and say hi! Join us for some great fun. Have your kids fingerprinted, browse books for sale, enjoy yummy baked goods and buy some raffle tickets to win great prizes! 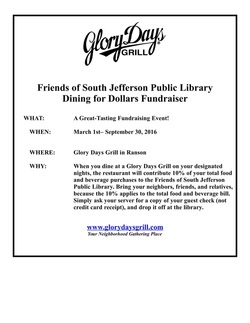 Dine at Glory Days before Sept 30th, drop off your receipt at the library or on April 16th at the FOSJPL booth at the Farmers Market, and Glory Days will donate 10% of your bill to the library!